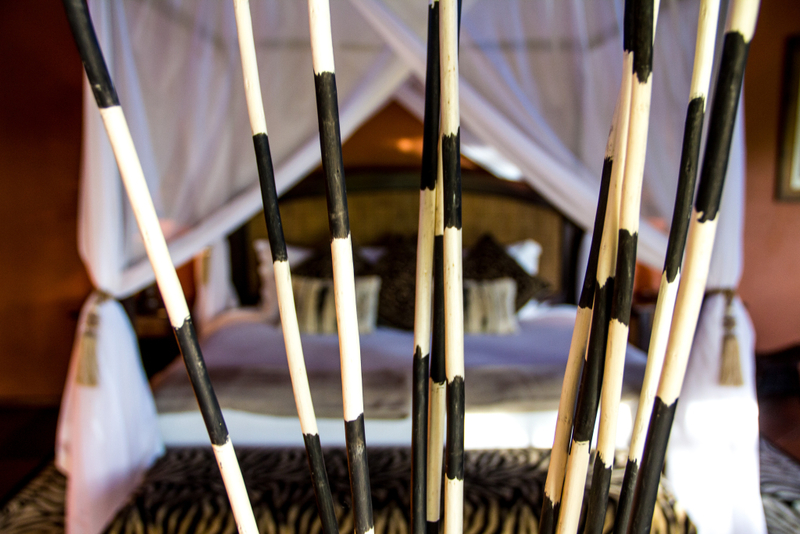 The unique atmosphere, stylish décor with an exclusive and personalised service makes Thula Thula Elephant Safari Lodge a “five star” bush experience. 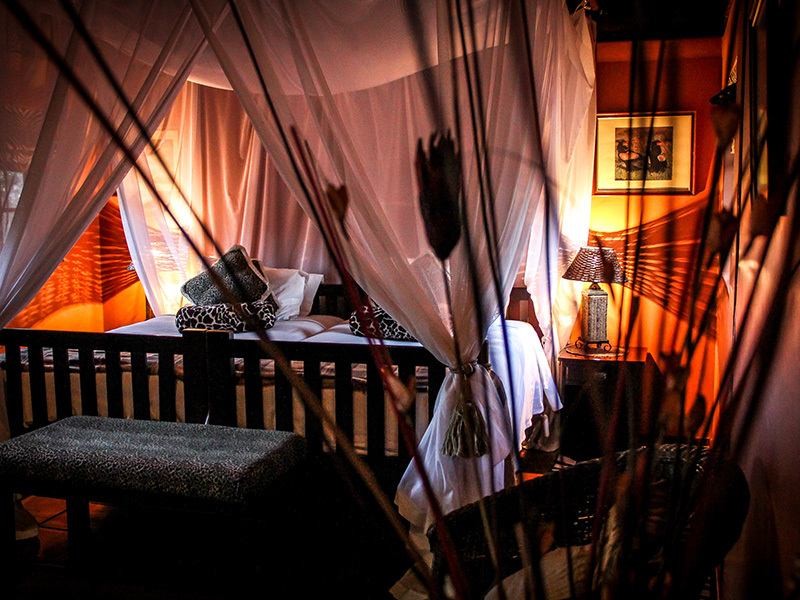 Luxury and privacy in individual chalets, decorated in ethnic and colonial style, exceptional service, attention to detail and a gourmet menu are the reason why so many wish to return to the Elephant Safari Lodge. 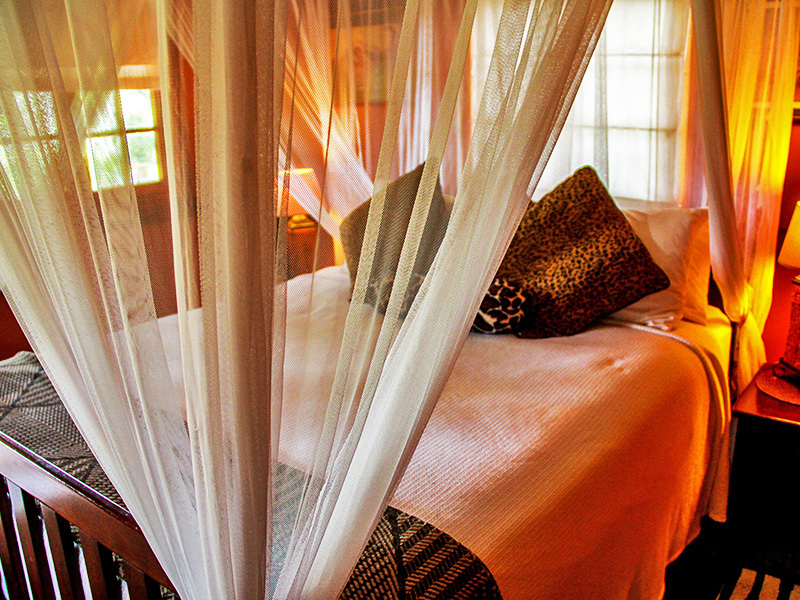 From your private veranda, you can observe superb birdlife and wildlife roaming free in the 4500 hectares conservancy. 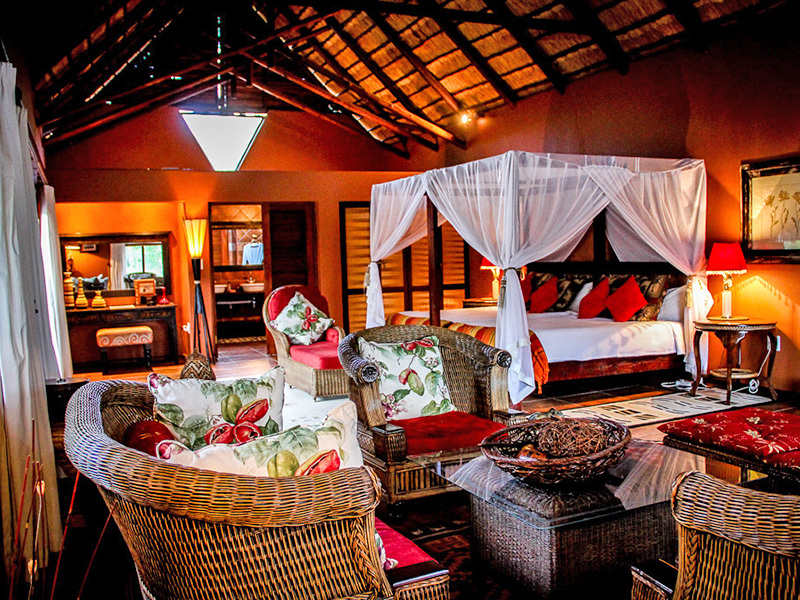 The 24-hour Package Rate at the Elephant Safari Lodge includes accommodation, all gourmet meals, 2 game drives per day, tea and coffee throughout the day. 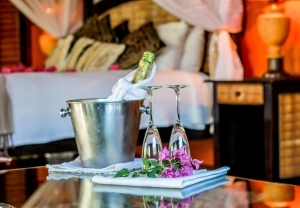 The Suite Royale is perfect for honeymooning couples or for a special occasion. 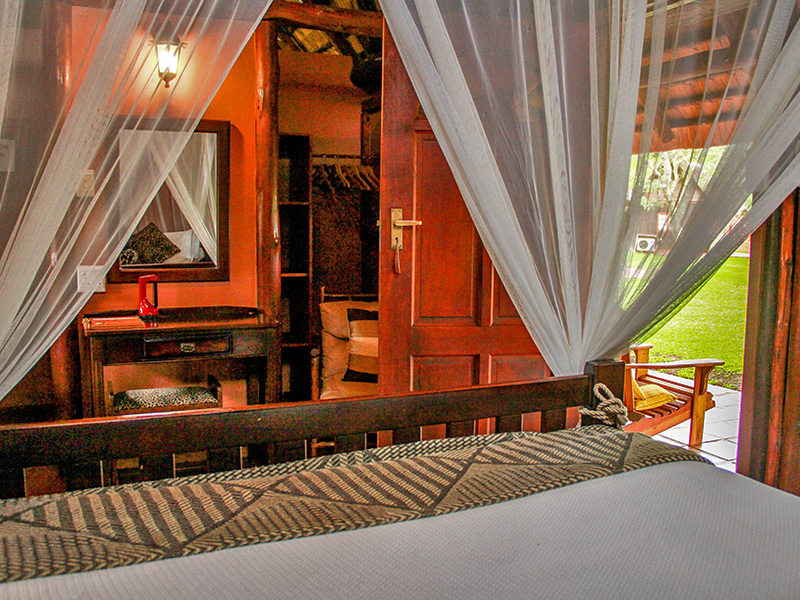 With a large king size four-poster bed, the Suite Royale is approximately 75 sqm, has a separate lounge area, en-suite bathroom with large walk-in shower, bath with bush view and twin basins. 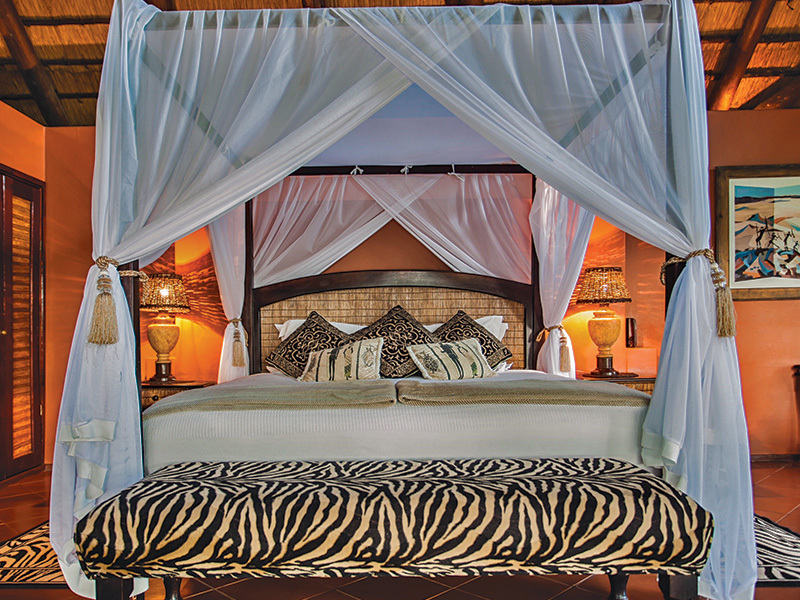 Slippers are also provided and Suite Royale has superb bush views from a veranda which overlooks the watering hole. 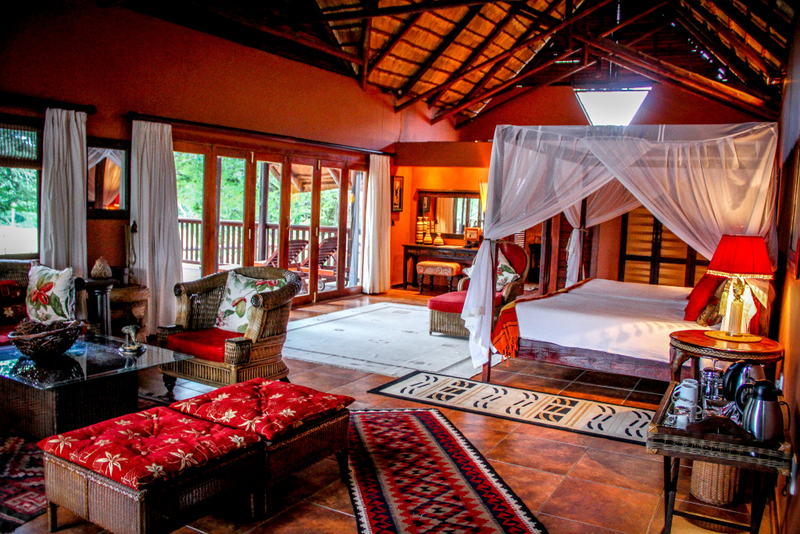 The deluxe rooms are approximately 25 sqm, with a queen sized four-poster bed, en-suite bathroom with single basin and shower, as well as a veranda overlooking the bush. 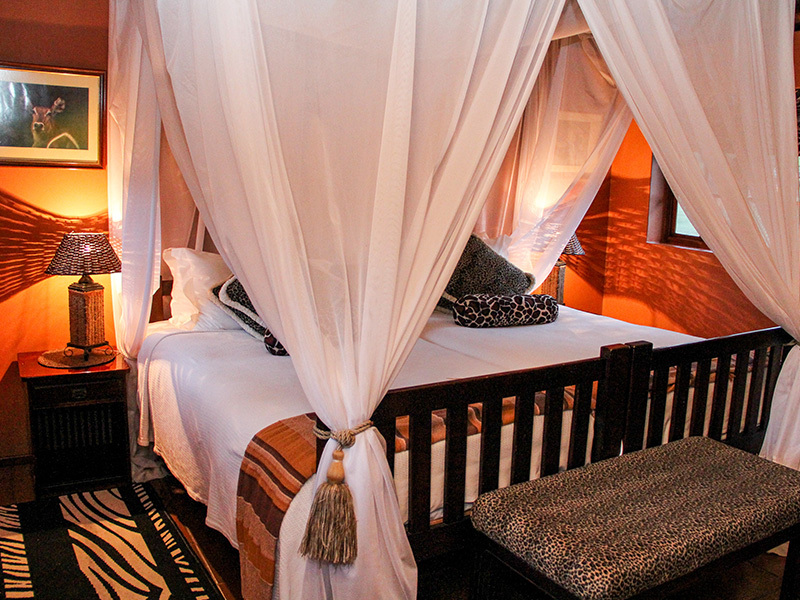 The deluxe rooms are ideal for single occupancy. 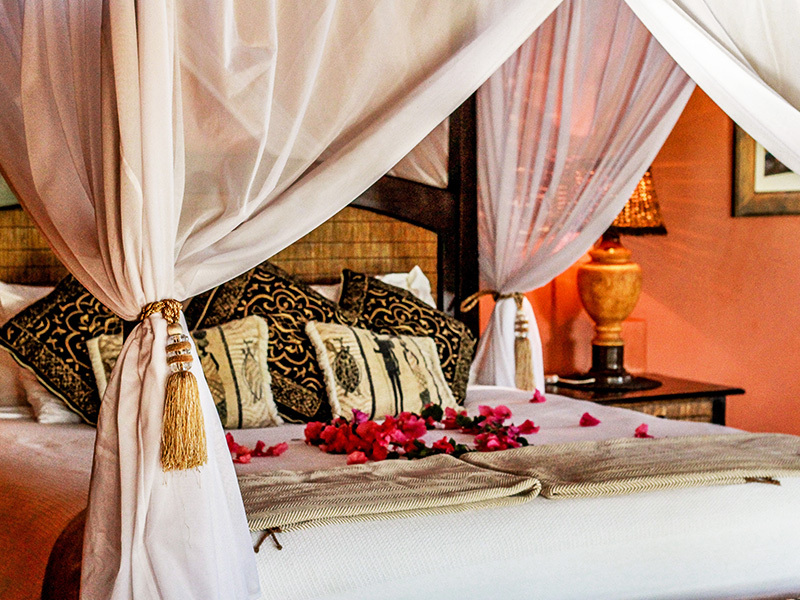 The luxury rooms are approximately 35 sqm, three of the luxury chalets have 2 x ¾ four- poster beds and 1 of the chalets has a queen size four-poster bed. 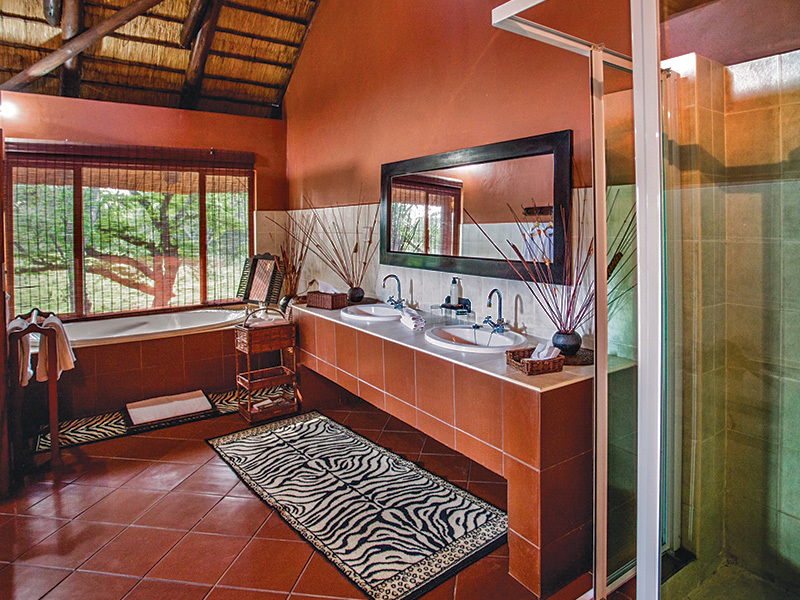 The en-suite bathrooms have twin basins, bath and shower. 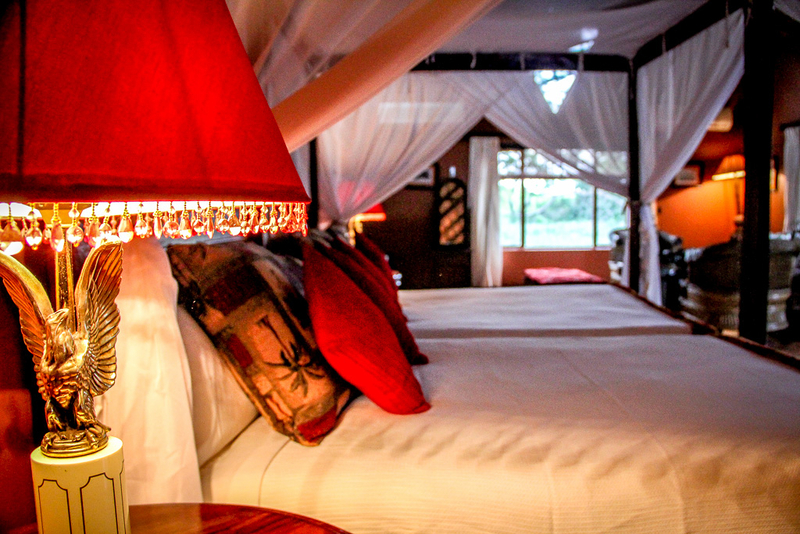 Each luxury chalet has a veranda over-looking the bush. 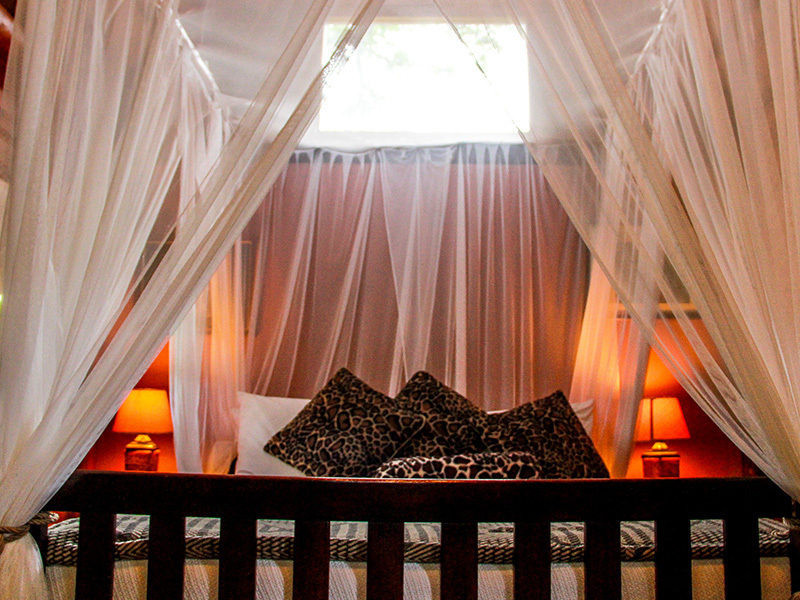 Additional single beds for children can be put into the luxury rooms on request. The Suite Imperiale, for a journey into the past, exclusively decorated to celebrate nature, offering the very best in elegance and luxury. A fusion of the most delicate fare combined with exotic flavours and enhanced with the finest South African wines make Thula Thula one of the most renowned gourmet destinations in KwaZulu-Natal. served on sweet potato cake with a red wine and bacon sauce, the dining experience at Thula Thula is a moment to remember. Delightful desserts include our legendary Nougat Glacé with strawberry sauce, the Sublime dark chocolate with orange coulis and the unforgettable Cappuccino ice cream with hot chocolate sauce or the Chantilly home made ice cream with caramelised redberries. Our Zulu dinner and venison braai (barbecue) around the fire in the Boma include a vast selection of delicious traditional Zulu dishes cooked on the fire in cast iron pots, accompanied with slow roasted leg of venison served with red wine sauce and marinated whole fillet cooked on the barbecue with a choice of vegetable cooked in the fire. Followed by our sublime dessert menu. 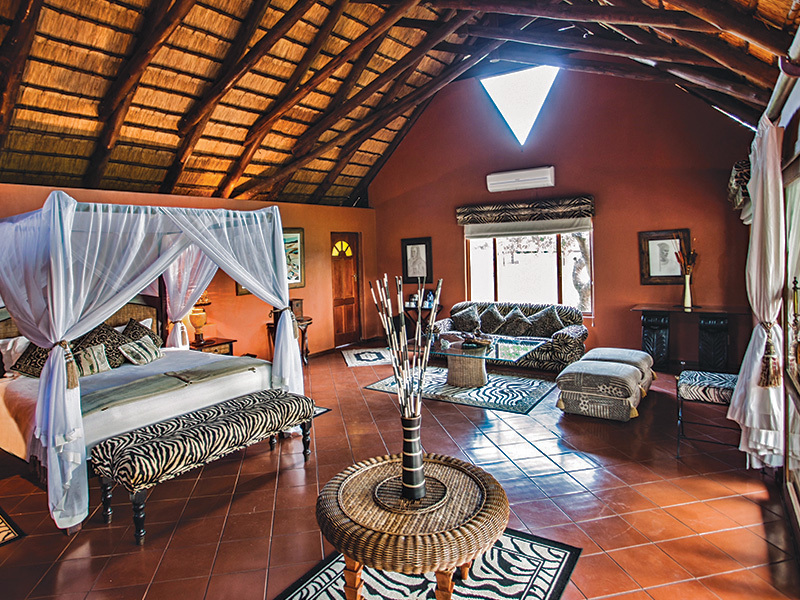 The Marula Bar is in a thatched lapa which overlooks the waterhole; great game viewing and magnificent birdlife can be enjoyed with a refreshing beer, exotic cocktail or fine wine. 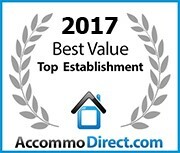 Drinks at the bar will be charged to the guest’s room account for settlement on departure. 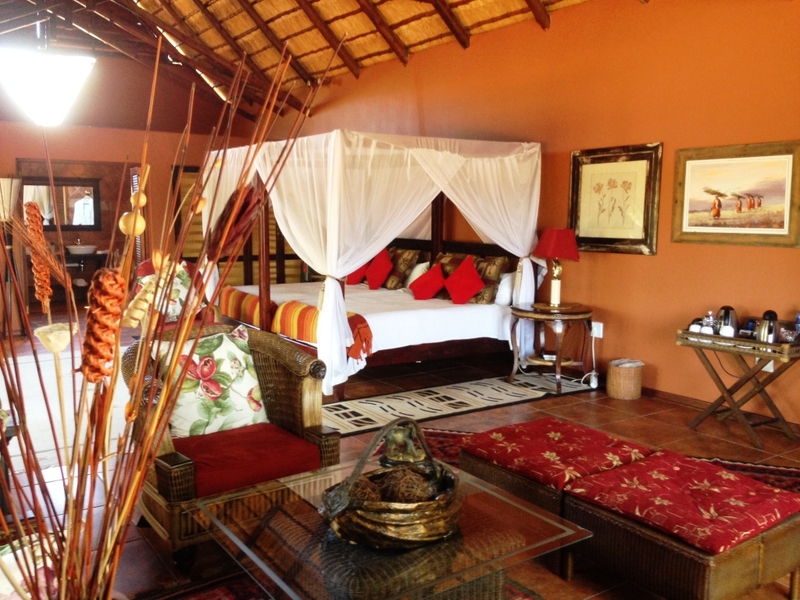 The swimming pool is adjacent to the Marula Bar and waiter service is available. The freshwater pool is approximately 2.5m x 4.5m with gradual steps in one corner. Sun-loungers, tables, chairs and 2 Hammocks are located around the pool area. The curio shop stocks art sketches by Francoise Malby-Anthony, hand-made bracelets, elephant & rhino pooh soap, t-shirt and caps, as well as copies of Lawrence’s 3 books: Babylons Ark, the book about how he rescued the animals in the Baghdad Zoo; The Elephant Whisperer, which recounts the beginning of Thula Thula as well as the arrival on Nana and the so-called “rogue” herd, and The Last Rhinos – Lawrence’s attempt to save the last of the Northern White Rhinos. Signed copies of the book are available on request. 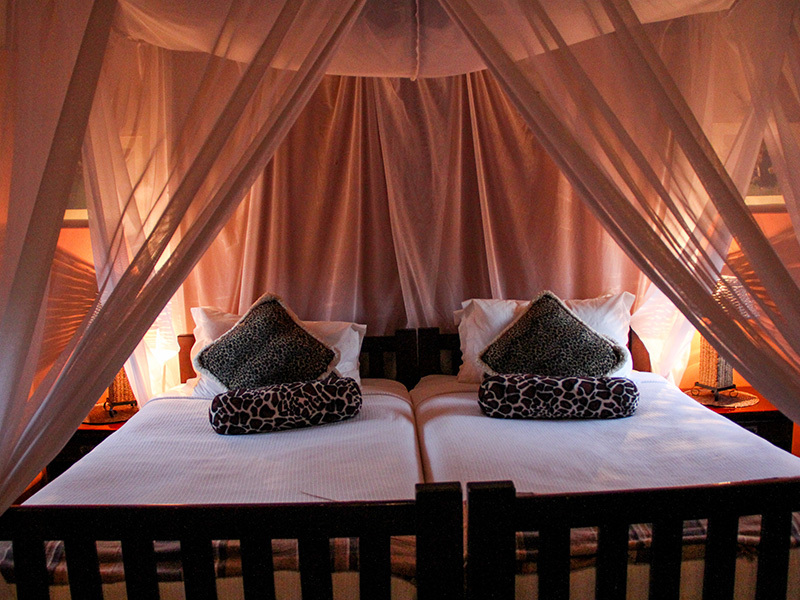 Children over 8 years old are welcome in the Elephant Safari Lodge and pay 50% of the adult rate. Children under 8 are welcome by prior arrangement. Temperatures 25 – 35 degrees centigrade. Dry season: generally warm days, cool nights. Temperatures 10 – 25 degrees centigrade. 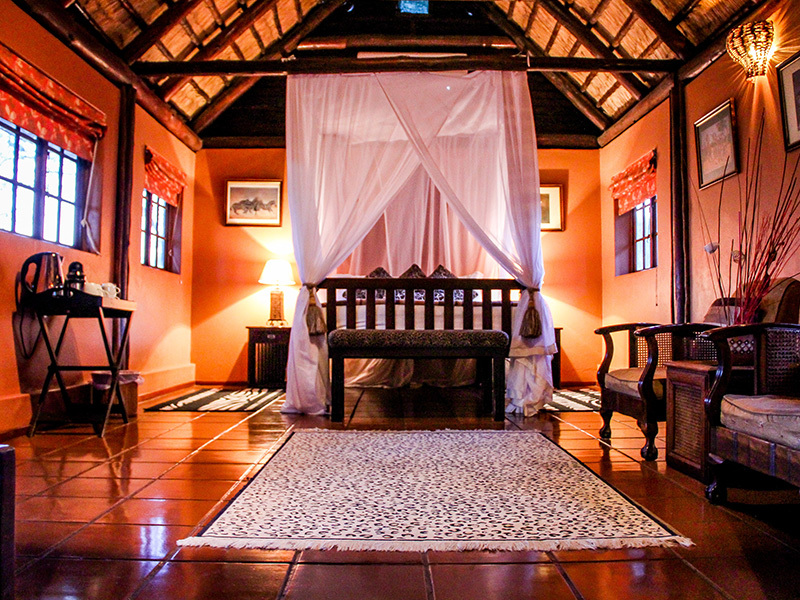 The air-conditioned conference room is approximately 150m from the main lapa. The conference room is private with great bush views, seats 32 delegates cinema style (approx 6m x 12m) and has a separate air-conditioned breakaway lounge with bar, library and TV / DVD. 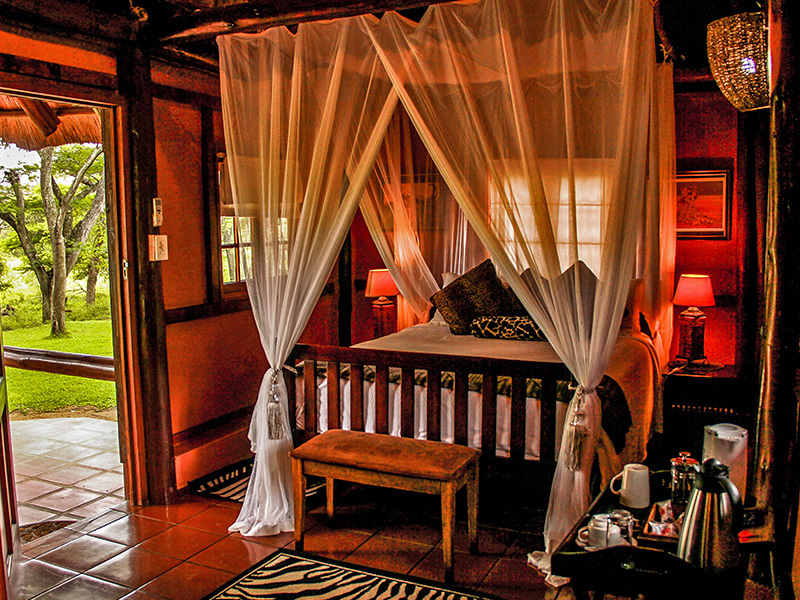 A private garden with tables and chairs offers bush views with an adjacent tea & coffee station for breaks. The conference area has its own separate toilets. The conference room is equipped with a pull-down screen for overhead projection. All AV equipment can be sourced locally on request or brought in by the delegates. Group lunches can be served on the terrace of the lapa and group dinners in the boma. 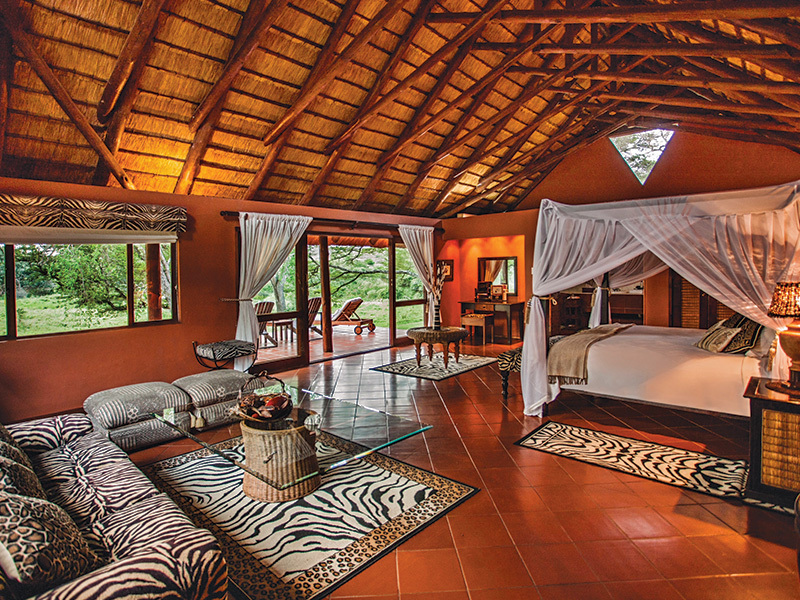 Suggested team building activities include bush walks and interactive game drives.